Tall spires red-crimson flowers in early summer held proudly above coarsely toothed, reddish-green leaves, Held on gorgeous blood red stems. 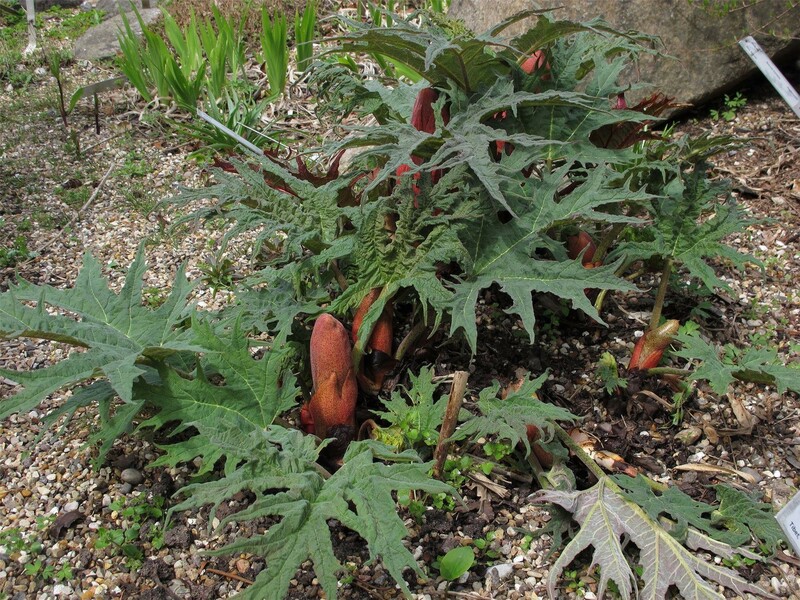 This form of Chinese rhubarb has larger leaves than other varieties, often purple-tinted. 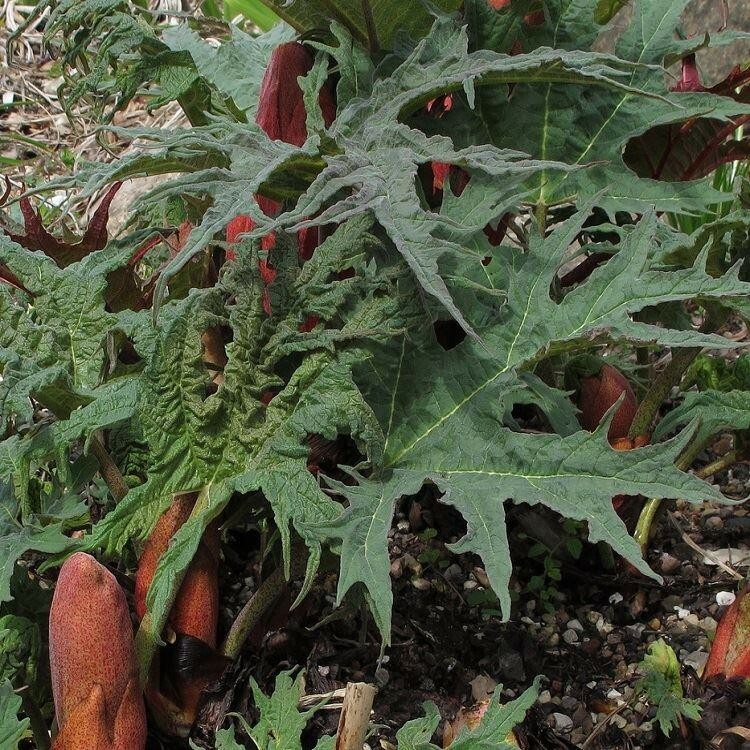 Requiring considerably less space than gunnera, it's an excellent architectural plant for the moist margins of a medium-sized domestic pond, but will grow on dry sites just fine. Supplied in approx 2-3 litre containers.